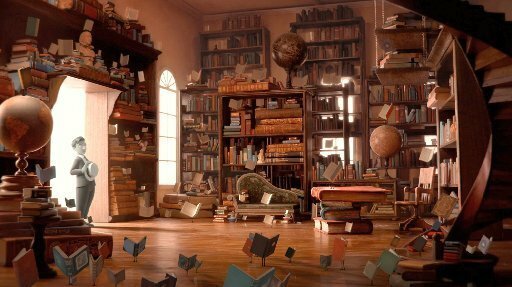 At the 84th Academy Awards ceremony last weekend, The Fantastic Flying Books of Mr. Morris Lessmore was awarded the Oscar for Best Animated Short Film. Like many people, I had not heard of this film (or any of the other nominees, for that matter) before. 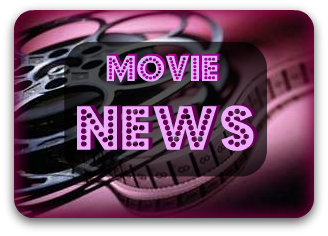 I was intrigued by the title, however, and decided to learn more about the film. I'm so glad I did and had to share my findings with you! Inspired in equal measures, by Hurricane Katrina, Buster Keaton, The Wizard of Oz, and a love for books, "Morris Lessmore" is a story of people who devote their lives to books and books who return the favor. The Fantastic Flying Books of Mr. Morris Lessmore is a poignant, humorous allegory about the curative powers of story. Using a variety of techniques (miniatures, computer animation, 2D animation), award-winning author/illustrator William Joyce and Co-director Brandon Oldenburg present a hybrid style of animation that harkens back to silent films and M-G-M Technicolor musicals. "Morris Lessmore" is old-fashioned and cutting edge at the same time. 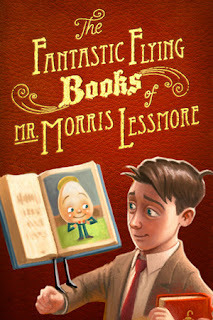 I found a You Tube of the movie here and you can also buy The Fantastic Flying Books of Mr. Morris Lessmore on iTunes for $1.99 ($2.99 for HD). You have to stop what you are doing (well, finish the post first) and go straight to one of these links and check this movie out! The film is beautiful, touching, mesmerising and hands-down-all-around amazing! At a mere fifteen minutes long, this short film made me feel more emotions than I have felt for any full length feature I've seen in quite a while. 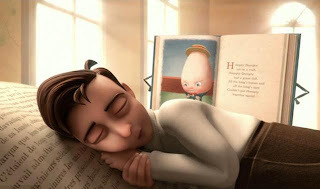 Oh, I wish my books would wake me up in the morning! It's time they start earning their keep! The animation is incredible, the story is lovely and the theme of the restorative power of reading touched my heart. I have to admit, I did shed a tear toward the end. I highly recommend The Fantastic Flying Books of Mr. Morris Lessmore for book-lovers and those "other kinds of people" alike. If you have seen this amazing short film (or even if you haven't - what are you waiting for?!?) I would love to hear your thoughts in the comments below. When I saw this at the Oscars I wanted to learn more about it. I might check this out on YouTube.